Systems from generation three that I have spent a lot of time playing are very limited, as I have only really played the NES to any length. The Sega Master System is also part of this generation, but nothing from that system resonates with me to the point that I would say it's one of my favorite games from the entire generation, therefore, all games on this list are on the NES. 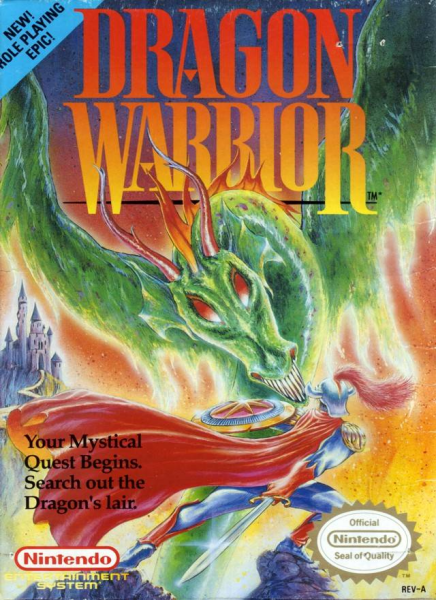 Dragon Warrior was the game that got me into RPGs way back in the day. My copy was bought from a now defunct department store named Lowell's. My dad bought it for me, and I remember seeing it behind the counter and wanting it based entirely off of the box art. I was a little disappointed in the game at first glance, as I had never played any game like it before. Over time, I would talk about it with friends and marvel at how expansive the game seemed. There were totally uncharted places in the game that I couldn't get to because the monsters were so powerful. This game grabbed me and it never let me go, and I've played through it several times! 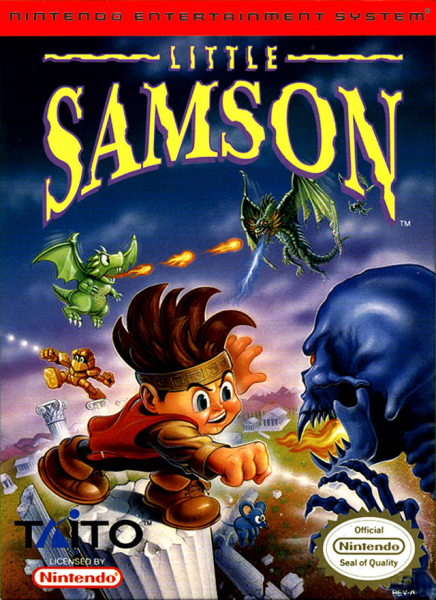 Little Samson is a game that I did not experience when it was released. In fact, I don't know if I was even really aware of its existence until the internet and ROMs became so common. If I had played this game as a kid, though, it would have completely blown me away. Not having experienced it when it was new or when I was a kid makes me hesitate to put it on this list, as everything else has nostalgic ties and has stood the test of time. I'm very confident that this game is top quality enough to be on this list beside games I have been enjoying for well over 20 years, though. I love Castlevania II: Simon's Quest and I will defend it at any time, but Castlevania III is the one that I would place above all others on my top games from the generation. I have so many warm fuzzy memories from the time period when I got it, and I very vividly remember the Christmas when I was given it. 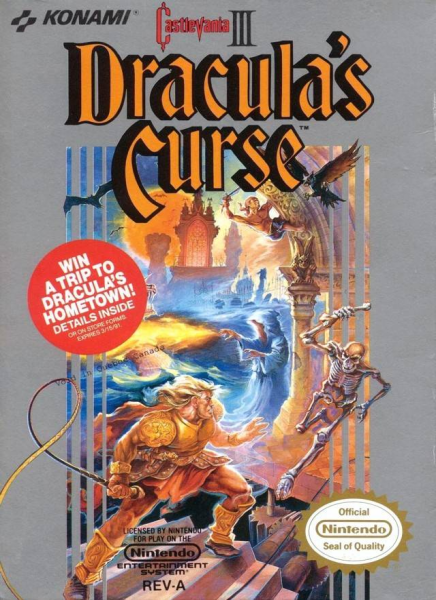 Castlevania III: Dracula's Curse took the original Castlevania and improved on almost every aspect of it. The ability to play as different characters and the different paths you could take through the game extended the life of the game by quite a bit. The game also has an exquisite soundtrack that I feel is probably the best in the entire Castlevania series. 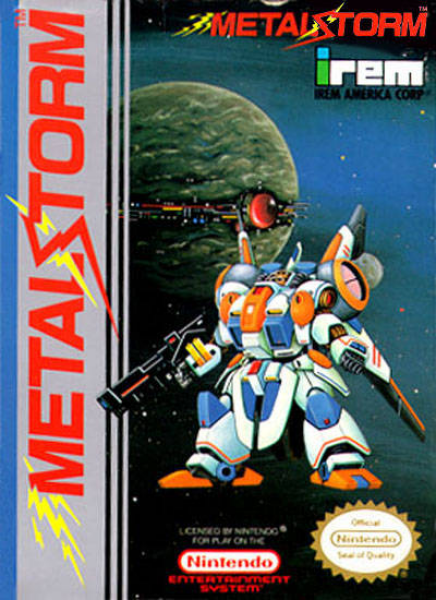 Metal Storm is a beautiful game and really is an amazing showcase of what the NES can do. The character animations are extremely fluid, the play control is spot on accurate, the music is top notch, and the parallax scrolling effect throughout the game is superb. It could almost be a Super Nintendo game if it had more colors on screen. A friend of mine got this game first and I was immediately taken with it. I played it over and over at his house and could never get past the fourth stage, but I kept at it. It was a game that was very popular in my friend group, which is strange considering I feel like it's usually found on obscure hidden gem game lists. Everyone I knew had this game, though. 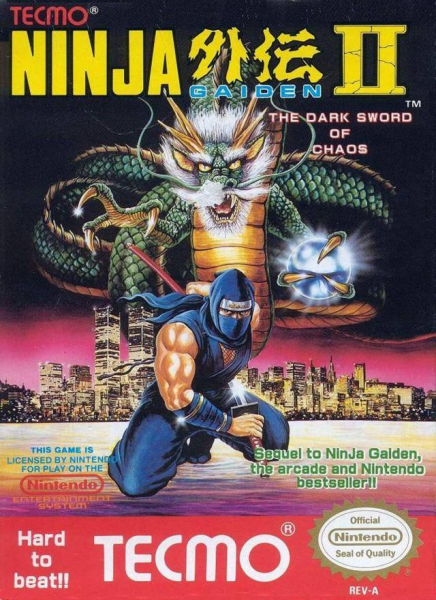 Ninja Gaiden II: The Dark Sword of Chaos refines the original game to perfection. Any play control issues found in the first game have been addressed here, and the entire game just seems like Tecmo took a look at what didn't work in the first game and fixed it. Unfortunately, the third game does not continue improving the series and takes a big step back in my opinion. I remember seeing pictures of Ninja Gaiden II in magazines before it was released and being extremely hyped about it. Nintendo Power even released an incredible strategy guide issue of the magazine that took you through the entire game and had a comic featuring incredible art in it. I almost hate to put this game on here because it isn't the only Mega Man game on the list, but it's just so good that I feel like I have to include it. 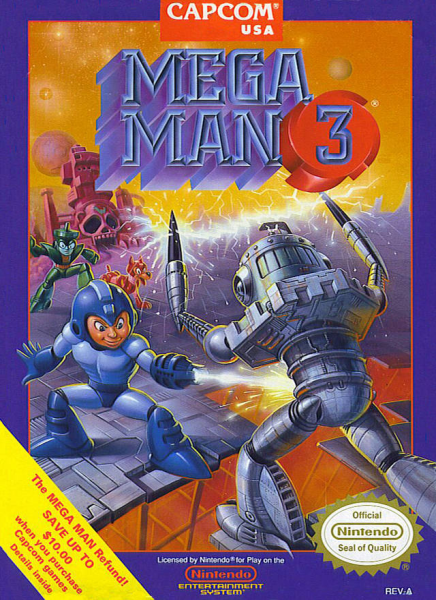 If I'm going to play a Mega Man game, there are two obvious choices for me, and Mega Man 3 is definitely one of them. While this isn't my favorite Mega Man game, it does have my favorite music in the series. In fact, I might say Mega Man 3 has my favorite soundtrack on the NES period. My only criticism of the game is that the middle is a bit weak, but other than that, it's definitely a great title. I wrote a piece about this game and the next in an article I called The (Not So) Terrible Twos. 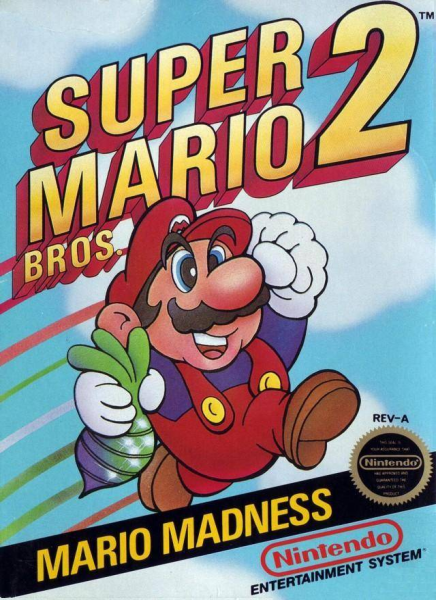 You can see more in depth what I think about this game there, but for now let me just say that I feel Super Mario Bros. 2 is one of the finest platformers ever created. I actually think the controls in the first and third Mario games are kind of sloppy. The second game has extremely precise control and the ability to change your character is a very welcome addition. I also like the fact that the game is different from the other Mario games of the time. This game was huge back when it was released, and I remember renting it for a while when I was home from school with chicken pox. I'm the ultimate Zelda II apologist. If you'll notice, the first Legend of Zelda game isn't even on this list. I cannot stress enough that this game does not deserve the criticism it gets. It's a unique and exciting adventure and I could play through it from start to finish right now. I'm always up for some Zelda II action! 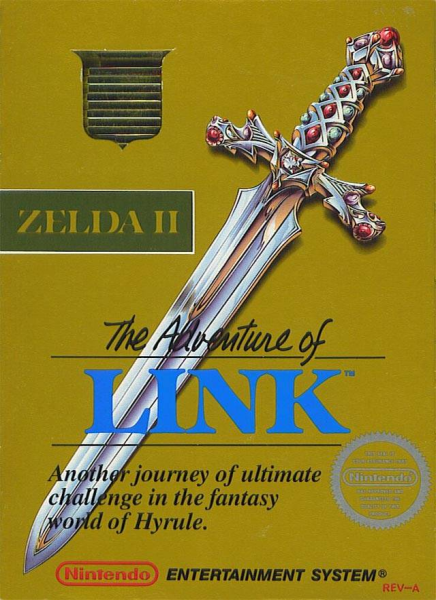 I actually owned Zelda II before the original game, and I very vividly remember being with my mom at K*B Toys when she got it for me. It was challenging at the time to get through the game, and the world within seemed so massive and daunting. When you would find the items necessary to travel to a new area it was really something else. If you're not playing Kirby Super Star on the SNES, then this is the Kirby game. There are so many secrets and varied levels in Kirby's Adventure. It really blows the original Kirby game out of the water in terms of content. This is also the first game to introduce the Kirby ability copy which would be a staple in almost every other Kirby game from this point going forward. 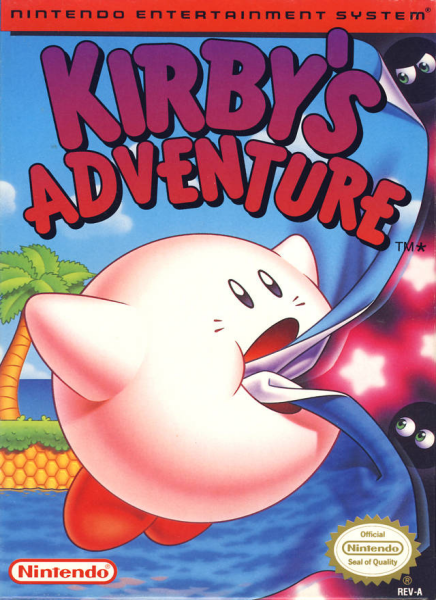 Kirby's Adventure is one of my favorites for sure, not just as an NES game but as a Kirby game as well. It has the perfect blend of challenge and puzzle solving. Trying to figure out where all the secrets are and what copy abilities you need to have equipped is an extremely enjoyable task! For me, there is no game finer than Mega Man 2. At its release, it was an obsession for kids my age. My friends and I used to play Mega Man 2 on the playground in grade school by pretending to be the different robot masters. It was easily the hottest game around for quite some time. 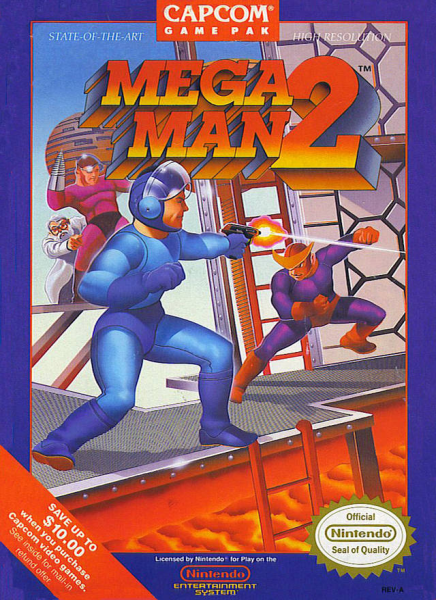 The thing is, I didn't know of anyone giving the original Mega Man a go before they played this one. For whatever reason, the second game just resonated with everyone. It's a game that I continue to go back to again and again and again, and I don't ever see an end to having a desire to play it. It really is a spectacular game, and without hesitation I put it at the top of my favorite games from this generation.